The presence of the yabbie Cherax destructor in a number of wild aquatic systems in the Pilbara and Southwest Coast Drainage Divisions of Western Australia is documented. This is of great concern as all native freshwater crayfishes in Western Australia are endemic and restricted to the southwest, while the Pilbara Division has no native species. 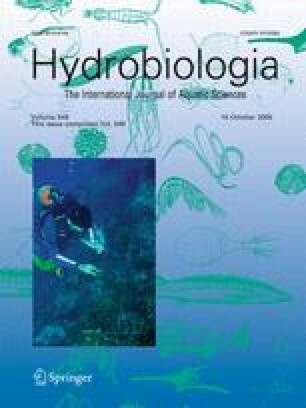 An introduced population of C. destructor was sampled monthly from the Hutt River (Pilbara Drainage Division) for determination of life-history and reproductive biology in a wild aquatic system in Western Australia for the first time. Proliferation in that system was attributed to specific traits including: attaining first maturity at the end of its first year of life; a protracted spawning period (July–January); relatively high mean ovarian fecundity of 210.2 (±9.24 S.E. ); and a rapid growth rate (curvature parameter K = 0.78 and asymptotic orbital carapace length OCL∞ = 51.25 mm ascertained from a seasonal von Bertalanffy growth curve) that was comparable to the larger sympatric marron Cherax cainii in this system. The life-history characteristics of C. destructor in the Hutt River were typical of many other invasive crayfish species and it has the potential to impact the unique aquatic ecosystems and the endemic freshwater crayfish species of the region.